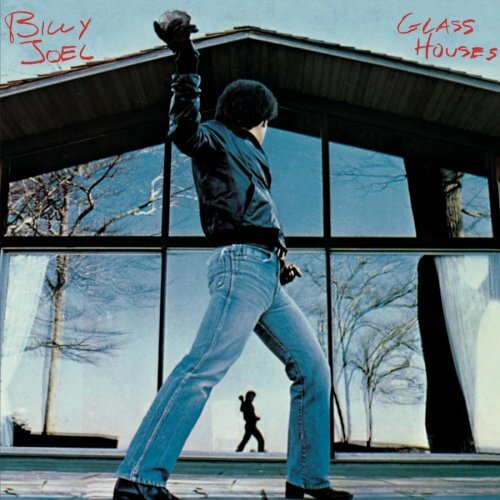 There is an American proverb that goes like this: “People who live in glass houses shouldn’t throw stones”. It is another way of saying “liars shouldn’t make accusations”. Recently, President Barack Obama trotted out the spurious campaign theme of “foreign subversion of American democracy” against… wait for it… the Chamber of Commerce. Obama then sent attack dogs David Axlerod, Robert Gibbs and Vice President Joe Biden to drum the message into the minds of the uninformed. Yet, neither the Democrat National Committee (DNC) nor the White House have provided any evidence that the Chamber of Commerce has used foreign-generated funds for campaign ads. And, rather inconveniently for the Democrats, the left-leaning New York Times found no basis for the charge… and further, pointed out that many leftist environmental and union groups raise political money from foreign sources. It is a case of what psychologists term “projection”. It is a form of accusing others of your own sins in order to justify your negative behavior. The rest of us just call it hypocrisy. So, why are the Democrats accusing the Republicans of subverting American democracy when they take DOUBLE the foreign funds of their opponents? Two reasons: (1) to distract independent voters away from the dismal record of Obamanomics, and because (2) nothing arouses the Loony Left’s ire like people spending their own money on conservative political causes. These are desperate times for Democrat congressional candidates. They need every vote they can muster — even if they have to lie to get them. President Obama has used the term “shovel-ready” numerous times. Little did he realize the term would become a highly accurate description of his party’s chances in the 2010 midterm election. The president used the term endlessly to push for adoption of his $862 billion plus Porkulus plan. The point of all that spending was to immediately produce jobs to stave off unemployment. “Shovel-ready” was said to mean: Ready to go right now… this minute… this second. We have to do this or the economy will collapse! Obama told Peter Baker of the New York Times Sunday Magazine that he was surprised to learn that these projects weren’t ready to go right now. Baker’s article is entitled, “The Education of a President”. You mean Obama needs on-the-job-training? Remember when Obamabots were saying, “He has as much experience as John F. Kennedy had before becoming president”? That was their way of saying Obama was “shovel-ready” to be president. Ironically, just a few months ago, the Times was informing us that some of these stimulus projects were never near to shovel-ready. Maybe that is where the president first learned of the shovel-ready myth. Congress — and the public — were told the money would start to our solve America’s all-to-real infrastructure crisis. But, it turns out much of the money went to fund liberal-favored non-infrastructure projects. Oh, and BP got $308 million to start building a power plant — about three years later. Gee, I guess the Campaigner-in-Chief sold us a bill of goods. But, is he sorry about it? According to the president, the failure of the Obamanomics linchpin stimulus effort is because his administration did not sell it properly. Forget the results — liberals always try to distract you from looking into results — this is merely a public relations failure. The White House — as expected — sent their PR flak, Robert Gibbs, out to fix the mess Obama created. But, Democrats on the hustings are said to be livid over the news, or more accurately, over the president’s admission of his rookie naiveté. The president is not concerned about being unpopular. On this issue, he has succeeded tremendously. Perhaps, he should concern himself with not being fundamentally wrong when it comes to economics. For such a smart man, Obama often seems to find exactly the wrong answer. No PR campaign can save a president from reality. No matter how hard he tries to ignore it. Does Harry have a Prayer? The Nevada US Senate race between Democrat Majority Leader Harry Reid and Republican state legislator Sharon Angle is very close. Most of the elite election prognosticators categorize this race as a “toss up”. Reid and Angle met in their one and only debate. And, judging from the reviews of left-leaning pundits, Reid just may be toast. Sharron Angle won The Big Debate. Angle won because she looked relatively credible, appearing not to be the Wicked Witch of the West (Christine O’Donnell is the good witch of the Tea Party) and scoring many more rhetorical points. And she won because Senate Majority Leader Harry Reid looked as if he could barely stay on a linear argument, abruptly switching gears and failing to effectively parry or thrust. It’s hard to paint your opponent as not ready for primetime if you don’t come across looking much better than she did… Reid also slipped into ‘Washington-speak’ time and time again. Perhaps the worst moment for him: his shuffling around for notes for his closing statement. Reid’s congressional co-conspirator, House Speaker Nancy Pelosi (D-CA/8), resides in a very safe district — centered on super-liberal San Francisco. Pelosi will coast through her re-election race. However, Reid’s term expires at a particularly bad time for him. Reid has to run for re-election in a state with 14.2% unemployment — the highest in the nation. And, Reid has been front and center in ramming through the most odious components of the Obama economic agenda. This makes Harry Reid the national “poster boy” for a midterm referendum on the Obama presidency. 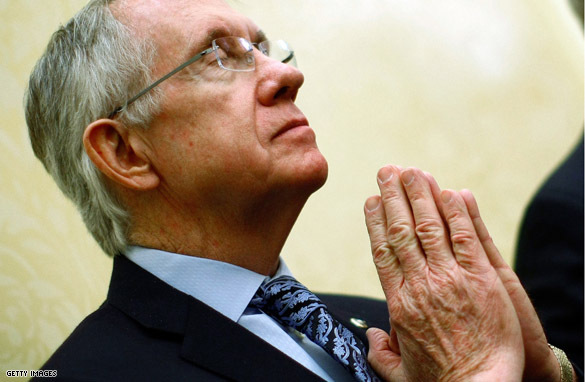 That infamy channeled over $14 million to Angle’s campaign to oust Reid… in just three months!. Politico reports that the Obama Administration ended the offshore drilling ban “a month early”. Although this is good news for Gulf State economies, don’t be fooled into thinking their suffering prompted President Obama to proper action. No, good old-fashioned backroom politics got it done. Senator Mary Landrieu (D-LA) placed a “hold” on the nomination of Jack Lew as director of the White House Office of Management and Budget. The action effectively held the nomination hostage until Landrieu relented. In other words, she threw a senatorial hissy. And, more importantly, Obama caved. Is it any wonder Ahmadinejad and Kim aren’t persuaded by Obama’s tough talk? 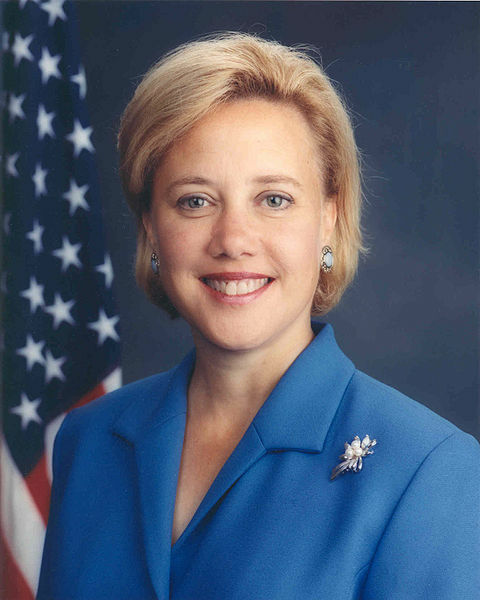 If you can’t move Mary Landrieu off a dime, well… where are you really? This presidential decision had nothing to do protecting the environment. While the drilling moratorium was in place, the Obama Administration approved a $1 billion loan to Mexico for expanded operations in the Gulf. If the administration was so concerned with potential ecological damage, why was it permissible for Mexico to expand drilling operations in the same body of water? Does Mexican crude oil not stick to water fowl, kill fish or pollute beaches? Of course, it does. The offshore drilling ban was pure leftist politics on a number of levels. First, the ban was an obvious sop to environmentalist groups who questioned Obama’s commitment to the cause. Second, the moratorium was a “dead fish” message sent to the oil companies. And third, the action was based on the wealth redistribution dogma central to Obama’s political ideology. All of that was certainly much more important to Obama than the jobs of 10,000 Americans. Aren’t those the same American workers Democrats always claim to protect? Oh well, the ends justify the means, right? What delicious irony that the whole plan was brought down by bare-knuckled politics as practiced by a liberal Democrat who benefits from oil industry campaign donations. That President Obama sure has them all shaking in their boots. Time Magazine political writer Mark Halperin released the scoop of the century: Everyone knows President Barack Obama is in over his head. Just when you thought Jimmy Carter (aka: Ex-President Superior) was our nation’s most (in)famous example of the Peter Principle*… along comes Barack Obama (aka: The One We Weren’t Waiting For Afterall). Well Mr. Halperin, at least 47% of us knew that back in 2008. Welcome to the club. Although the author tries to disprove the incompetence charge, he still reports quite accurately on the rational perception. Hey, the guy still has to work with his liberal Old Stream Media colleagues. They throw great cocktail parties. Or so, I’ve heard. Moreover, there is a growing perception that Obama’s decisions are causing harm — that businesses are being hurt by the Administration’s legislation and that economic recovery is stalling because of the uncertainty surrounding energy policy, health care, deficits, housing, immigration and spending. And that sentiment is spreading. 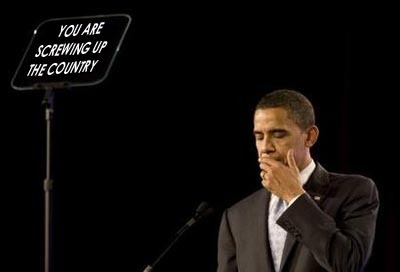 Many members of the general public appear deeply skeptical of Obama’s capacity to turn things around, especially, but not exclusively, those inclined to dislike him — Tea Partyers and John McCain voters, but also tens of millions of middle-class Americans, including quite a few who turned out for Obama in 2008. In politics, perception is reality. And, in this case, the perception and reality mesh quite easily. Obamanomics has been an abject failure. Yes, President Obama inherited a recession. The economy is basically cyclical and self-correcting. But, our impatient (and economically ignorant) president implemented policies which made it the worst economic downturn since the Great Depression. His happy band of Democrat congressional enablers (aka: Harry Reid and Nancy Pelosi) cracked the whip and herded their super-majority to enact job-killing laws. Obama campaigned as a post-partisan pragmatic centrist. He then proceeded to govern as a hyper-partisan dogmatic leftist. Americans have an inherent “Don’t Screw Me” attitude. It is in our DNA. We do not subscribe to “live and let live” fatalism. Americans are willing to give you the benefit of the doubt… the first time (read: Porkulus). Try and fool us the second time (read: ObamaCare), and we get mad… and then, we get even. Now, Obama and the Democrats will reap the political whirlwind they have sewn. Halperin even admits it is too late to undo the electoral damage. The House is certainly gone and the Senate is tottering. Obama may have aided American conservatism more than William F. Buckley and Milton Friedman… combined. Is that irony or just desserts? Historians and political scientists can debate the point ad infinitum. I for one don’t care, as long it produces the same result. The price being paid by the American people is far higher than that of the Obama Administration and the Democrat Party. And, they will soon render unto the young Caesar and his equestrian order what is justifiably their due… a good old-fashioned whoopin’ come Election Day. It will not end Obamaism. But, if the GOP does not blow the opportunity, it is a beginning. * The Peter Principle was made famous by Dr. Laurence J. Peter in his book of the same name published in 1969. The principle is that in a hierarchy every employee tends to rise to the level of their incompetence. He sure pegged Carter and Obama. Yes, you read the headline correctly. It is not opinion, it is fact. So says Democracy Corps — or is that corpse? — the polling arm of uber-Democrat operative James Carville. Democracy Corps reports that in their tests of various campaign themes, the “Blame Bush” strategy caused a net 2% shift… to Republicans. It appears the “go forward, not backward” message is interpreted as “we Democrats will deliver more of the same”. With unemployment at 9.6% and underemployment at 17.4% , Obamanomics is not exactly selling like iPads. What to do if you are the party promoting to stay the course in bad economic times? Blame the Chamber of Commerce, of course. Everyone knows that all those small-town shopowners are just greedy Satanists plotting to screw their fellow man out of his job, home and last dollar. Yeah, that’s great for business! Why didn’t the White House “Brain Trust” think of that sooner? Good move, Mr. Axlerod. You are a political genius. Not really, Bob. 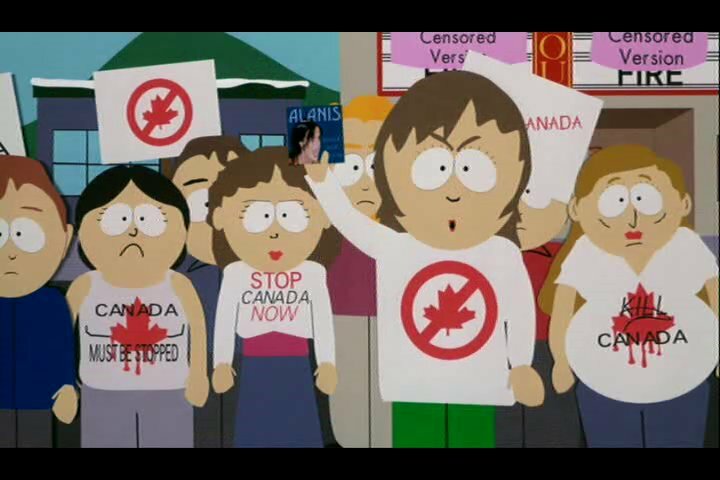 The next move is to unleash the South Park Strategy… and “Blame Canada”. Forget the grainy black and white photos, out-of-context quotes and menacing background music of the typical attack ad. This is the type of political ads we really want to see.